Tennessee Valley Institute for Materials Joining and Testing (IMJAT) received a $3,000,000 Round Two grant award to serve the needs of employers, workers eligible to receive trade adjustment assistance (TAA), and veterans by providing rapid retraining in two high-demand, high-wage fields: nondestructive testing (NDT) and materials joining (welding). 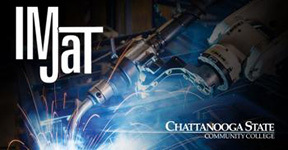 New state-of-the-art welding processes labs which includes robotic welding equipment. New non-destructive and materials testing labs with associated computer classrooms. Students have many educational options that can lead to degrees, certificates, and training in the high-demand fields of Welding Engineering Technology and Non-Destructive Testing.